7 days 10 hours 5 min 10 sec remaining in the April competition. So this is very new to me as too, but I wanted to learn how to make sprite animations. 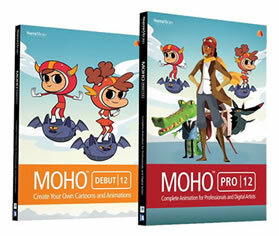 It was really easy to figure out how to recreate sprites looking characters in Anime Studio with the grid tool as well as finding good source materials on the web. 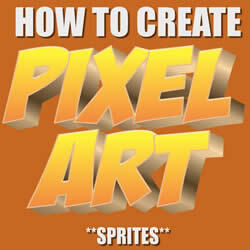 This tutorial goes over recreating sprites that you've found on the web but you can also use this to create your own pixel art characters and backgrounds. I'll probably end up making another tutorial on this when I've gotten it down a little better but this should help you get started anyway. The small cartoon clips are just fan animations I made for a YouTuber named Dashiexp. He's a YouTuber that does comedy sketches and gameplays. I think he's hilarious and since he plays old school games, he was the perfect subject matter to see if I could make a pixel art cartoon. You can check out his game channel here!